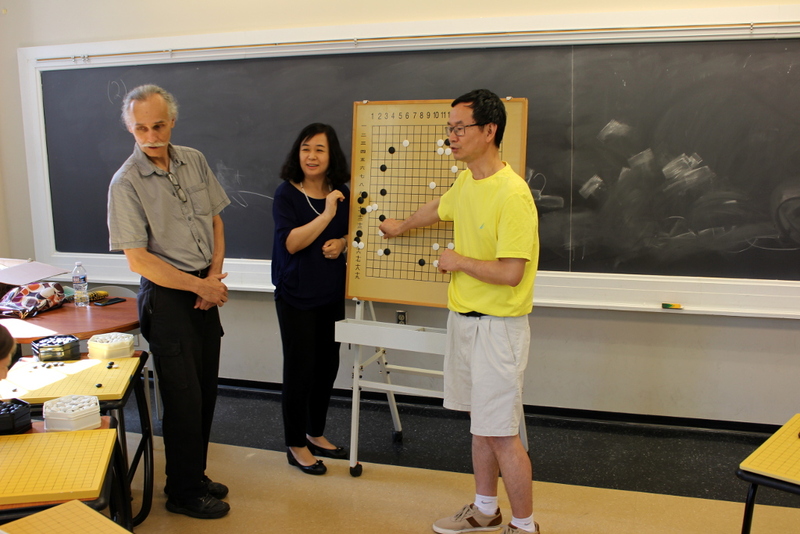 The First North Carolina Workshop with Ying Shen 2P was held May 20, 2017, on the UNC Campus in Chapel Hill, North Carolina. Ms. Ying Shen 2p is a professional Go player who moved to North Carolina from China recently. 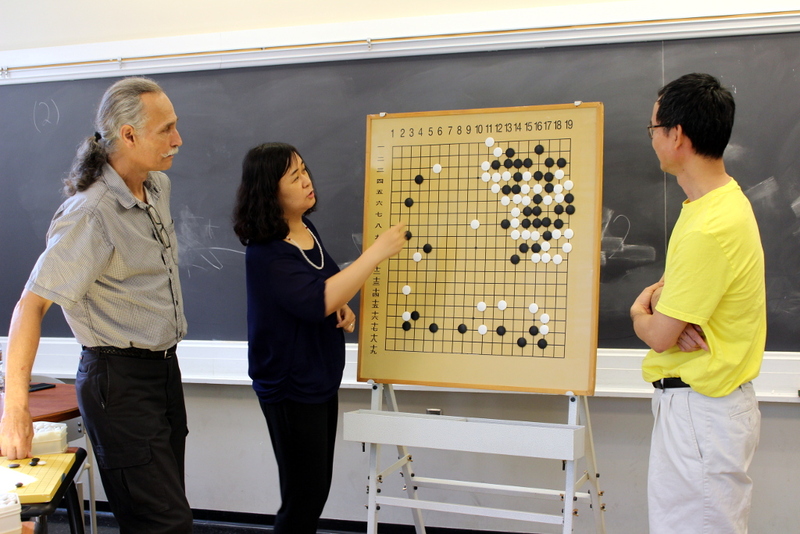 Ms. Shen became a professional Go player in China in 1986 and was part of the Beijing Go pro team. She became a professional 2 Dan in 1992. She studied in Beijing Normal University full-time and graduated in 1996. She finished Top 6 in many Chinese national professional Go individual competitions and was part of the Beijing Go pro team that won the Silver medal in the No. 6 China National Games. Ms. Shen is a very experienced Go teacher. She taught for many years in the two most famous Go schools for professional Go prospects in Beijing: the Nie Weiping Go School and the Ma Xiaochun Go School. 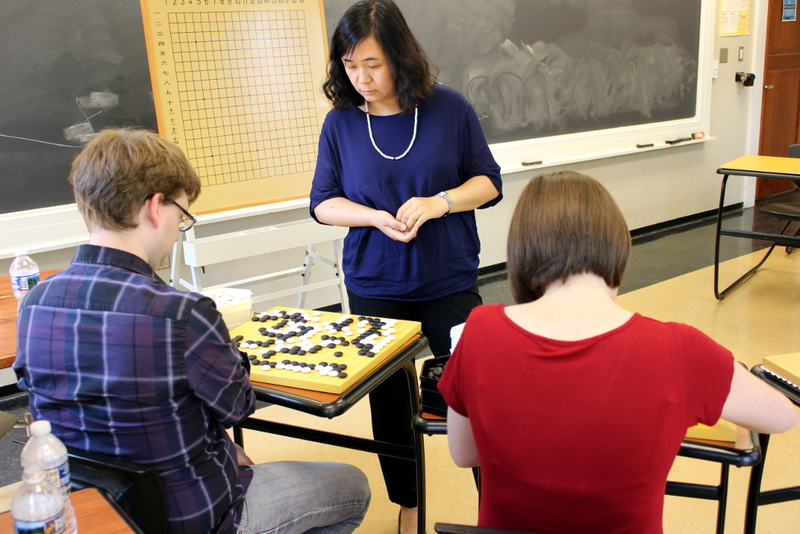 Ying Shen 2P reviewed professional games for us, and engaged the group in an instructive and interesting simul game. This was an excellent initial workshop with a new teacher. Our area Go players are lucky to have her living in this area. We look forward to more events like this in the future. The workshop was sponsored by the Cary Go Club and the Triangle Go Group of North Carolina. More photos from this event are available for viewing at the photos webpage.